Heir to a medical center conglomerate, he lost his parents and the medical center at a young age to his uncle Byun Il Jae and barely survives from the crisis of death. Later, he gains back his lost vision with the help of the secret lobbyist, Ok Chae Ryung and gets reborn under the name of Kang Ki Tan. With excellent hearing and superb intuition, he gains strong physical ability through years of training. His good looks and sophisticated wit makes him a charmer, but this is just a disguise to hide his inner pain and revenge. Since childhood, he had an unusual relationship with Soo Yeon, and after reuniting with her, he falls in love. 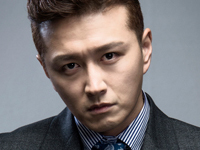 He has a rivalry with Do Gun Woo in love and in work. After her father died, she becomes brazen and lightens up only for money, in order to take care of her younger, autistic brother. Having dreams of success, she works in a law office during the day and goes to law school at night. Growing up, she meets Kang Ki Tan and Do Gun Woo. With her bold and brilliant character, she successfully lands a job at the Dodo group and forms an unusual romantic triangle with the two men. After learning that Ki Tan is Lee Kook Chul, she makes a touching effort to save him during a critical moment. Later, she helps Ki Tan with his revenge. After being rejected by his family, he grew up with his mother in the United States. Under the influence of drugs, he killed his stepfather and flee to South Korea. He was drawn into the Dodo Group by Byun Il Jae, and with strenuous effort, he finally gained the approval of his father, Chairman Do Chung. After Byun Il Jae helped him to become the prince, he eliminates the opponents who cast his mother out, leads a dissolute life and transforms into a heartless monster. He met and had an ill fated relationship with Cha Soo Yeon and becomes the rival of Kang Ki Tan in all relationships. Later, Kang Ki Tan will be the key factor in breaking up the Dodo group. Growing up in a military household, she has a strong sense of responsibility and patriotism. Unlike her appearance, she has a tomboyish personality and until now has never seen any entertainment. Following the instructions of the National Intelligence Service Chief Yeom Hyeong Gu, she joins the Dodo group under a disguise and meets Kang Ki Tan and Do Gun Woo. Reluctantly disguising herself as a weak woman, she often gets in conflict with Kang Ki Tan who keeps interfering with her secret mission. 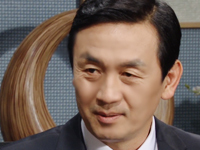 Ten years ago, while he was a former prosecutor, he took everything from Kang Ki Tan and killed his wife. At that time, he was having an affair with Hwang Ji Soo. He later married her and became the son-in-law of the leading lawmaker Hwang Jae Man and the nephew of the Chairman of the Dodo group. He is skillful in estimating a situation and superior in the conduct of life, but behind the straight appearance, hides a cold-hearted person. He has great ambitions and will seize Dodo group and jump into the political arena. An absolute ruler with a heart of fire and blood like ice (cold-blooded). Regardless of party or faction, he is a professional politician. He has a far-reaching ambition to become the President. Lost her husband's love to his mistress, but remained by his side only because of greed. Makes every effort to be elegant, but her ignorance comes out occasionally due to her short learning. Simple. Ignorant. In a hurry. Fierce. Taking anger management medication. A ladies' man. Likes to drink. Picks on any person. Has a pathological fear of his father. Other than that, there is nothing that scares him. Has a strong snobbish, ill-tempered, difficult and vain nature. Surprisingly, she is weak to men's praise and seduction. Currently works as a professor, has dreams in politics. Responsible for the training of the new employees. He once worked for the National Intelligence Service, has a strong desire for success. 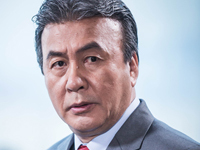 He has a fierce dislike for newcomer Byun Il Jae who was appointed outside of the existing hierarchy. Her ability is being the right arm of Moon Tae Gwang. A character wrapped under a veil of mystery. Cold-blooded and unaffected by tears. Will become a decisive helper of Kang Ki Tan. When angry, utters short Chinese words. With her beauty, she has excellent skills to seduce men. After reluctantly reuniting with Kang Ki Tan, she helps him as a source of information. She has a desire to live a normal life as a woman. A Chinese national who receives missions from the organization and knowingly helps Ok Chae Ryun. 1. 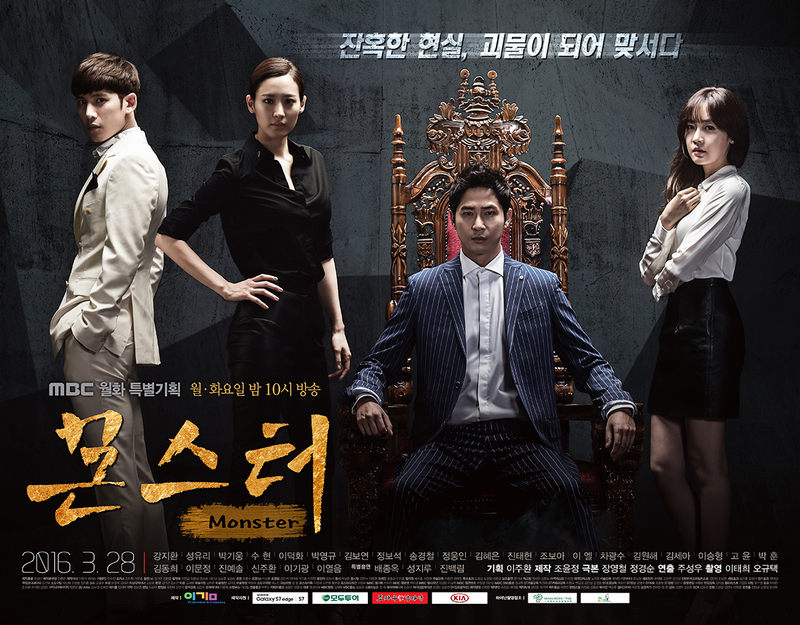 Monster takes over MBC's Monday & Tuesday 21:55 time slot previously occupied by Glamorous Temptation. Photos from script reading rehearsal for new drama 'Monster' have been unleashed. Thanks to @LyraYoo for passing on the management of the thread to me from the first thread starter Jooconde because she won't be able to manage the thread for the upcoming months due to real life duties. Thank you also to @ecs707a, @badsmuler and @VNFAN for helping out in updating the thread. 01.Due to the copyright/legal problems, no illegal streaming links will/should be posted on this thread as there had been major crackdowns going on lately.02.Any complaints about any streaming links will be counted as spam and will be reported to the mods.03.Any complaints of the respective companies such as Viki, youtube, Etc.. should be report to the respective companies instead of posting your complaints here.04.Those who are caught breaking the soompi posting rules more than 5 times will have their Id/IDs reported the mods. 05.Those who are caught promoting/posting illegal streaming links with subs ( those without permission from the original subbers and doesn't have copyrights like Viki, Dramafever will have their ID's reported to the mods for endangering Soompi to legal issues for illegal streaming sites promotions. MBC side official position, "Kang Ji Hwan" is the main lead in "Monster"
Kang Ji Hwan's appearance as the hero in the new MBC drama "Monster" (working title) has been confirmed. On Jan. 21, MBC confirmed Kang Ji Hwan and other major actors as cast in the drama "Monster" which will be a follow-up to the drama "Glamorous Temptation". The casting for the female lead is still undergoing. 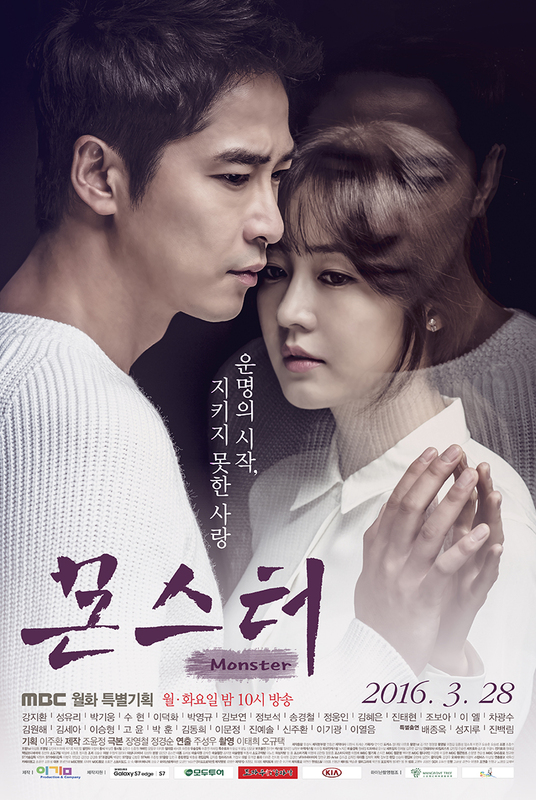 The screenwriter of "Monster" is Jang Young Cheol, the man behind the hits such as Empress Ki, Giant, History of the Salaryman and Kang Ji Hwan's 2013 drama, Incarnation of Money. It will be directed by Joo Sung Woo, whose works include "The Legendary Witch" and "Hundred Year Inheritance". Hwang Jung Eum, Kang Ji Hwan's female lead in "Incarnation of Money" has been offered the role and she is still considering it. The 50 episode drama series depicts the story of a man from the 1997 financial crisis to the present days. 'Monster' is scheduled to broadcast as a follow-up to "Glamorous Temptation" which airs during the Monday & Tuesday 21:55 time slot. Hwang Jung Eum turns down role in "Monster"
Hwang Jung Eum was up for the role of the lead heroine. For now, it seems like she will be focusing on her upcoming wedding before taking on any more drama roles. Meanwhile, while Seo Kang Joon was also considering a part in the drama, the role of the lead male went to Kang Ji Hwan. 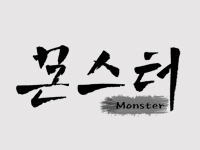 “Monster” is set to air after “Glamorous Temptation” wraps up in April. Ah, this casting makes more sense: Kang Ji-hwan (Big Man) is now confirmed as the leading man in MBC’s upcoming 50-episode melodrama Monster (formerly titled Tyrant), while relative newcomer Seo Kang-joon (Cheese in the Trap) is no longer in consideration for the show. 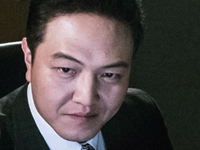 It seemed so strange to have a young rookie like Seo being courted to lead a big show like this, particularly since it covers a lot of ground and spans 20 years and requires an actor with a bit more gravitas, and he’s not there yet. The story of Monster starts during the IMF crisis in the late ’90s and tells “the revenge story of one man sacrificed by an avaricious den of demons.” He loses his parents at a young age and almost dies, and takes on a new life and name in pursuing his revenge, vowing to expose the ugly true faces of the elite; along the way, he finds a love that’s like “a flower bud growing in a mud pit.” Recently cast to play the hero in his youth is idol Lee Ki-kwang (Mrs. Cop), while Lee Yeol-eum (Village: Secret of Achiara) will play the younger heroine. The show is still searching for a leading lady with Hwang Jung-eum (She Was Pretty) officially out as well, and while I like Hwang, I’m fine with her leaving because she and Kang Ji-hwan were in Incarnation of Money together and they don’t need to reteam quite so soon. I know the back-to-back reunion worked for her and Ji Sung, but fresh partnerships are a welcome thing, and I’ll be curious to see which actress ends up with the role. I am glad to hear of Lee El (My Beautiful Bride) taking on a supporting role as an arms lobbyist, a character described as a strong woman who makes her presence felt, which is pretty much what I always expect Lee El to deliver. The lady has presence. The bulk of the supporting cast has been confirmed, and includes Park Young-kyu, Lee Deok-hwa, Jung Bo-seok, Kim Bo-yeon, and Jung Woong-in. Monster is set to follow Monday-Tuesday drama Dazzling Temptation. Due to real life duties, our thread author @jooconde won't be able to manage the thread for the upcoming months. The thread is open for a volunteer to update the casting/production details. Kindly send me a DM for those who are interested. UPDATE: Thanks to @pechumori for taking over , fighting! Actor Kang Ji-hwan will headline MBC's new Monday & Tuesday drama, "Monster - 2016". On January 21st, an official in broadcasting circle has said that he will play the leading role Kang Ki-tan in MBC's "Monster - 2016". 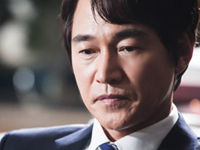 His role, Kang Ki-tan's original name was Lee Gook-cheol, but he lives under the new name to take revenge to those who took away his parents' lives when he was little. Kang Ji-hwan's childhood role will be played by Gi-kwang. 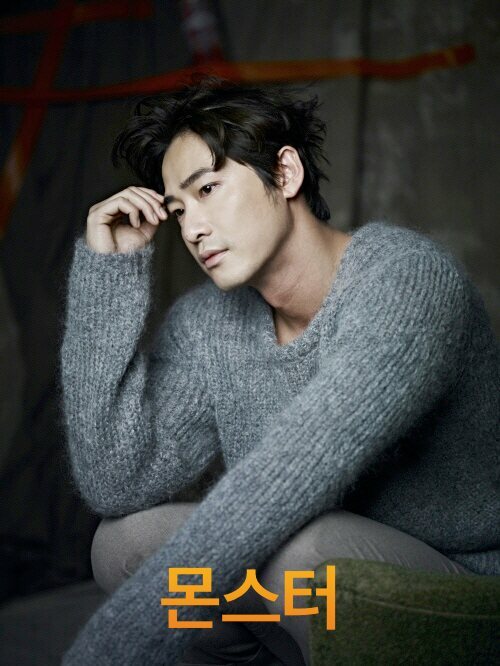 This is Kang Ji-hwan's drama comeback in two years since his appearance in KBS 2TV's "Big Man", 2014. "Monster - 2016" depicts vengeance by a man, who fights against the irrationality of the society. Hwang Jeong-eum is currently discussing her offer for the female lead. PD Joo Seong-woo ('The Legendary Witch' 'A Hundred Year's Inheritance' 'Hooray for Love' 'Gold Fish') and writers Jang Yeong-cheol and Jeong Kyeong-soon-I ("Empress Qi" "Salaryman" "Giant" 'Dae Jo Yeong') have joined to create this vengeance story. MBC's "Monster - 2016" is slated to start in the beginning of April once "Glamorous Temptation" has finished. 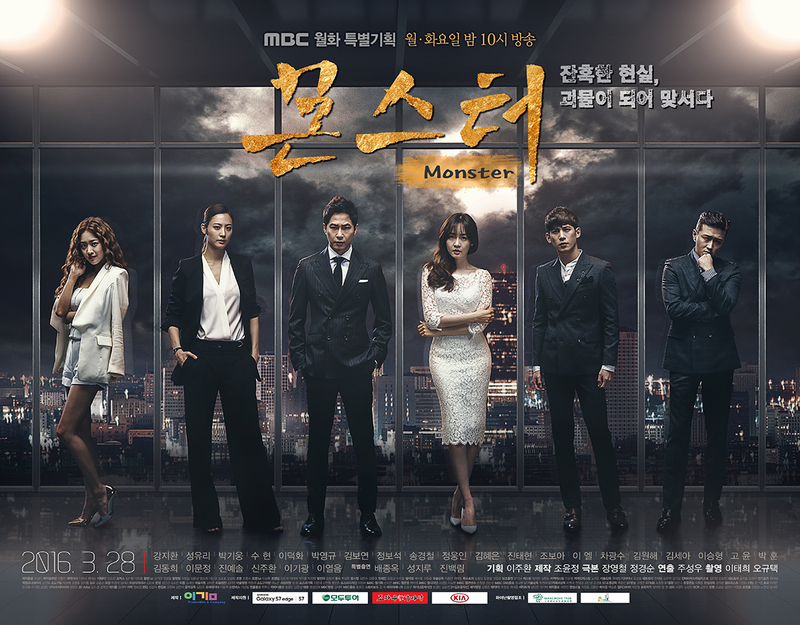 "Monster" takes over MBC's Monday & Tuesday 21:55 time slot previously occupied by "Glamorous Temptation." PD Joo Seong-woo ('The Legendary Witch' 'A Hundred Year's Inheritance' 'Hooray for Love' 'Gold Fish') and writers Jang Yeong-cheol and Jeong Kyeong-soon-I ("Empress Qi" "Empress Qi" "Salaryman" "Giant" 'Dae Jo Yeong') have joined to create this vengeance story. Wait, what? 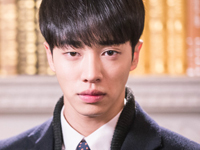 You’re going to cast Lee Ki-kwang, born in 1990, as the teenage version of Seo Kang-joon, born in 1993? I’m no math expert, but that seems wrong. MBC’s new Monday-Tuesday drama Monster still hasn’t confirmed its leads — offers are out to Hwang Jung-eum (She Was Pretty) and Seo Kang-joon (Cheese in the Trap) to headline — but has cast childhood counterparts for them in Lee Ki-kwang (Mrs. Cop) and Lee Yeol-eum (Village: Secret of Achiara). I’m honestly vexed as to why on earth you would bother casting someone older than the actor you’re courting to play the hero, to play him younger. The only thing I can think is that Seo Kang-joon is miscast in the role… But he was cast first… I don’t get it. My head hurts. 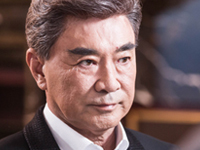 The series comes from hit writer Jang Young-chul of Empress Ki, Incarnation of Money, History of the Salaryman, and Giant, which sets expectations pretty high. I did think they would cast an older actor for the 50-episode epic about a man’s gripping revenge story against the rich and powerful. For one, the story spans 20 years, beginning with the IMF crisis in 1997 to the present day, and he’s the main character who faces off against society’s 0.001% and overcomes all sorts of adversity in order to reveal their true faces to the world. In any case, Lee Ki-kwang and Lee Yeol-eum are confirmed, math be damned. They’ll open the series as the leading characters in their high school years, which will last about 4 episodes. Aside from the backwards age thing, I can certainly see them in the roles — Lee Ki-kwang still has a baby face and Lee Yeol-eum is always in a high school uniform anyway. 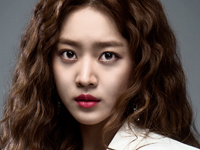 Though casting her immediately makes me think Hwang Jung-eum’s character will be a mean girl in high school. 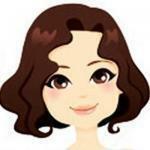 Monster will follow Monday-Tuesday drama Dazzling Temptation in April. ^The two threads are merged instead. Thank you. I'm worried about who will be the female lead, if indeed it is confirmed that the protagonist is Park So Dam I will be very disappointed. What a pity that our Hwang Jung Eum, can not be in this drama because of his upcoming wedding. PSD won't be here...she will act in "Cinderella and the Four Knights"
Do you mean Lee da hee ?? ?